Maxine is a student from London currently living in Barcelona for her “year-abroad”. 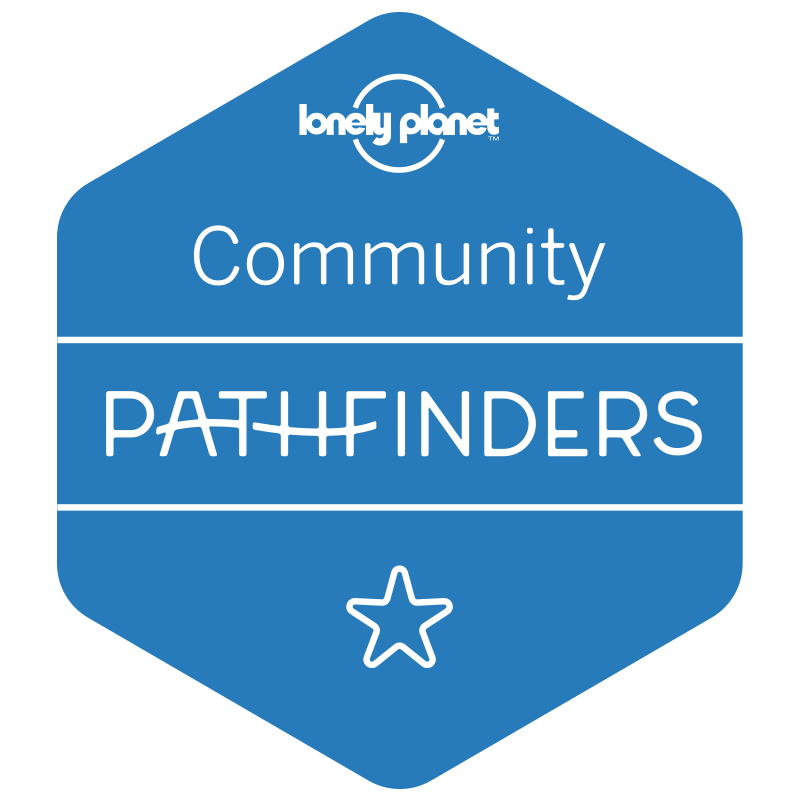 She enjoys travelling, languages, and discovering lesser-known cultural sites. During her free time Max spends her time investigating the ins and outs of Barcelona or burying herself in a new book. Street Art has become a major contributor to modern contemporary art. This unique form of art that has it‟s origins in graffiti can be seen in most cities around the world and has become a platform of expression for artists worldwide. Graffiti originated in the early 1920‟s, when cities like New York began seeing graffiti on the side of trains and walls. However, it wasn’t until the 70‟s and 80‟s that it became the subversive culture that gave rise to the modern street art we see today. These decades were an incredibly important turning point for the history of street art as it was a time of political unrest and revolution, where young people created a movement in an attempt to respond to their socio-political environment and frustrations. This is a significant period for graffiti because it symbolises the origins of political street art we see today; it took simple drawing and transformed it into an entire culture of creating artwork and a way for young members of society to make their voices heard with impactful images in the form of art. This is why street art today has the significance it does: because young people took matters into their own hands when their voices weren‟t being heard and forced the world to hear them. In the words of Blek Le Rat, who is considered to be one of the fathers of stencil street art work with his work filling the streets of Paris with stencil painted rats; “This movement is the democratization of art: if the people cannot come to the gallery, we bring the gallery to the people!”. And that is perhaps what makes street art so popular and acclaimed today, that it brings art and all of its culture and history, to the eyes of people everywhere to touch their daily lives. I have the incredible luck of living and studying in one of the most iconic cities for street art, Barcelona. Barcelona has long since been a city that attracted artistic circles, it gave birth to the acclaimed architects of Gaudi, Joan Miró, and houses some of Picasso‟s work in the Picasso Museum. Nowadays, the city is the host of world-leading graffiti and street art. The Black Pacifier is an example of one of the contemporary artists who progressed from a world of late-night creative escapes, to the production of commissioned pieces and live painting performances at art galleries and festivals worldwide. Although hugely influential in the rise of Barcelona as a hotspot for street art, he has been less active since the 2000‟s. The Tree House is one of my favourite works from Barcelona because, although the image does not show it, it is painted on a tall building in the middle of the city. Whilst not my preferred style of art due to the lack of colour, I always enjoy seeing it because of the contrast set by a tree-house set in the middle of a busy run-down city. In fact the artist‟s choice of drawing as if it were a doodle is almost an allusion to the desire to be taken to a simpler setting. Between the 2000‟s and 2010‟s an entire movement dedicated to showing that street art need not be criminalised began. 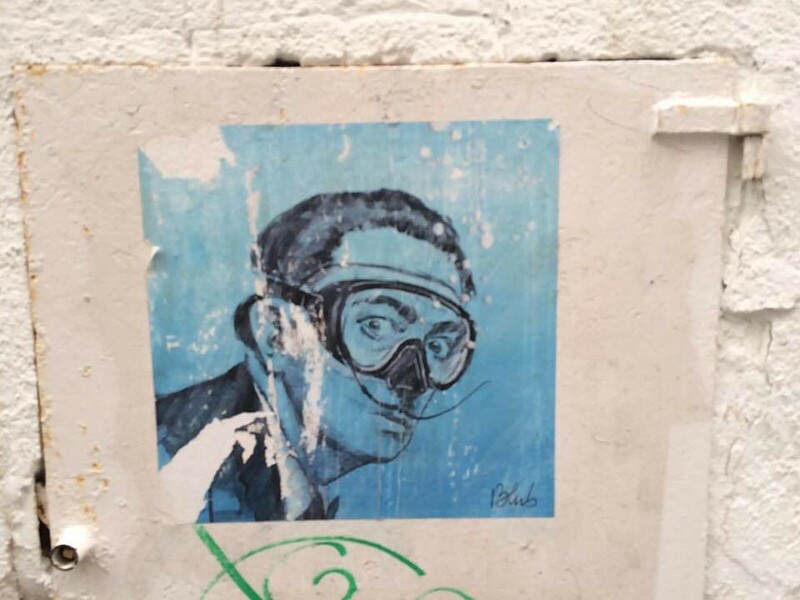 It aimed to show that, street art could be encouraged to benefit both the city, for tourism and decoration, for the artist, and for exposure and safety. Huge city-wide festivals were organised in major cities from Norway, to Melbourne, to Barcelona itself. And in fact, today cities from Atlanta to New York to Łódź to Cape Town have sponsored festivals of street art, where designated significant areas act as open-air legal galleries. One of the biggest examples of this which I have been able to appreciate myself is the Berlin wall. Once a symbol of oppression, the remnants of the wall are now home to multiple expositions and street art exhibitions every year. When I visited it last September, there was a very poignant photographic exposition on refugees, which was made all the more impactful by the fact that it was placed on a landmark in a city so able to relate to tragedy. 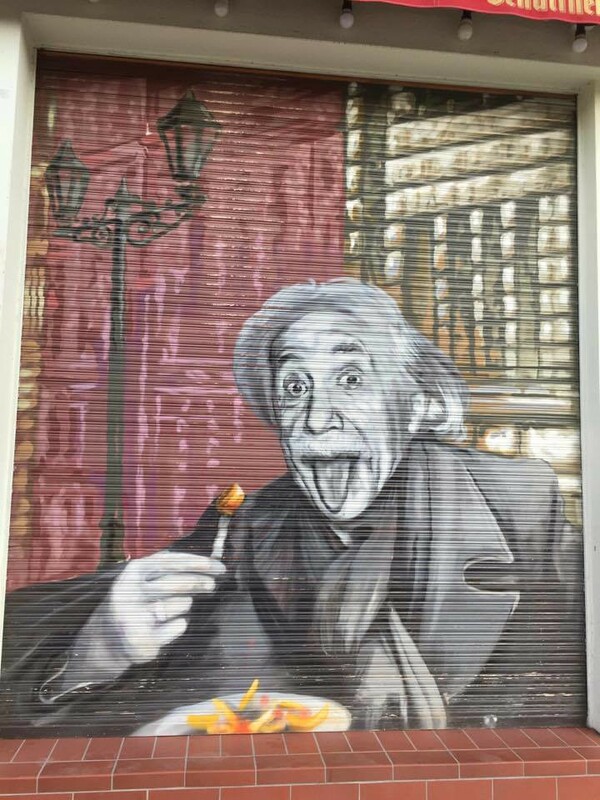 Berlin is also full of humorous street art, like this cleverly placed piece of art I found next to the hotel I was staying at in Alexanderplatz, were Einstein eating chips is painted on a restaurant shutter. 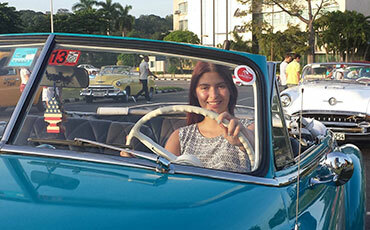 When you think of Latin America, most people immediately conjure images full of colour, life, and spirit. And that seems to be precisely what artists in the major cities of Mexico, and Brazil have done. Mexico City has been entirely transformed into an art gallery of history and political messages through street art. You can see some incredible pieces located in public murals with historical significance, made all the more resonating by the art. Recently the city took on a project called “All City Canvas” where graffiti art was legalised for a project where during 11 months the required permissions were gathered to commission 9 local and foreign artists to paint buildings as they are today. I absolutely adore this piece of artwork pictured above, it‟s simple and its small in size and yet it is a perfect image of Mexican culture and heritage, which in a world that seems increasingly global is refreshing and poignant. Similarly, the above is an example of Blek‟s influence on work today. 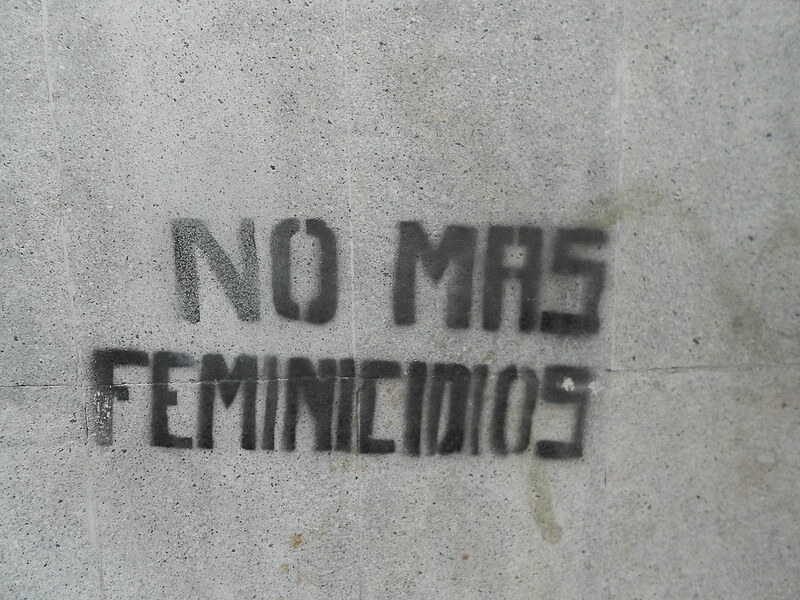 The artist uses a stencil style to depict a powerful message “no more femicidos” to allude to the number of women assaulted in Mexico yearly. The message is almost made more direct and impactful on the reader by the simplicity of design. 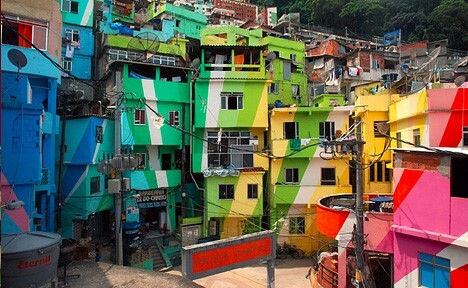 Contrastingly, whilst Mexico brings spirit, the streets of Rio bring life, colour, and joy. One of my pieces of art is this colourful building which manages to give an aura of happiness that encapsulates the people and the attitudes of the city. Graffiti has evolved beyond the stereotypical “delinquent” form of art into a sophisticated, poignant, and relevant form of culture. Stunning pieces can be seen throughout major cities, their beauty attracting many tourists. I have learned so much about street art from reading blogs. There is so much beautiful street art, it really is amazing. 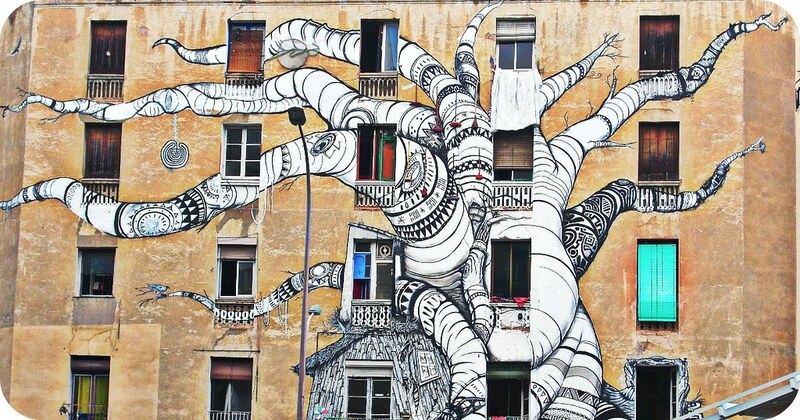 I would love to visit Barcelona someday and see the street art there. Street art is so much fun to explore! 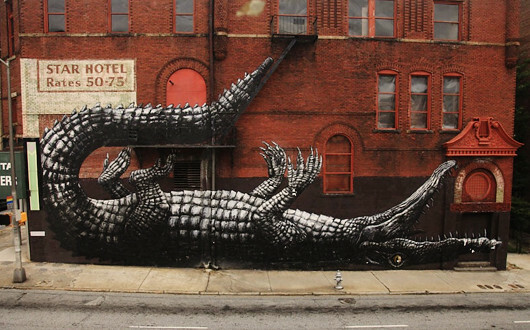 Here in LA we have the Art District – there you can find the most amazing intricate paints on old buildings. Street art can be so vibrant and colourful, some really great places to explore here! Love the street art around the world. I was pleasantly surprised that Richmond Virginia rocks this scene. They even host an international street art festival for a week every year. I am a big fan of street art, too. I loved seeing Blub’s work in Florence, Italy. That tree house is amazing– I want to see that. If you get to Ljubljana, Slovenia, you will be blown away by the amount of street art. I love street art! I visited Berlin recently and really impressed by them. Street art in Barcelona is amazing as well! I have heard a lot about it! Street art is such an interesting attraction in a city. The street art in Barcelona is amazing and I am quite surprised by it. I normally would see them in South American countries. But that tree house and mosaic art from Barcelona are both so interesting! I had never heard of Banksy until I visited Bethlehem, now I see his street art all over the world! 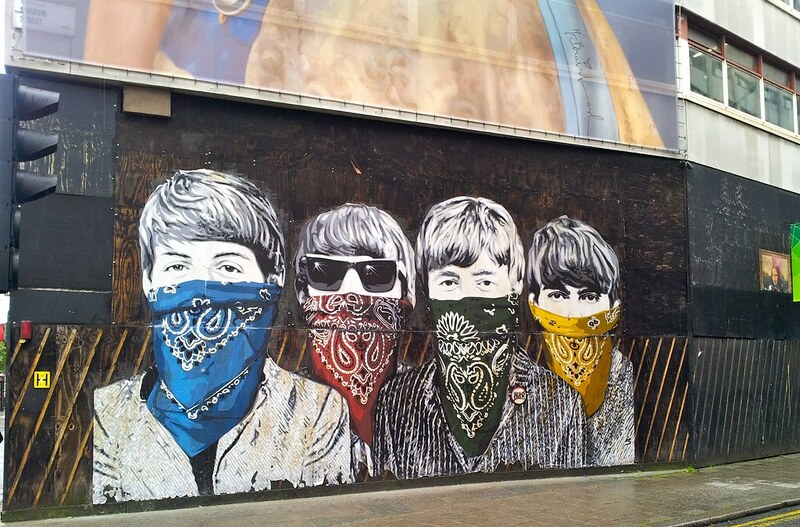 I love the street art you captured of the Beatles in bandanas! I have started paying more attention to street art and photographing it myself thanks to articles like this. Some of my favorite street art is in the Plateau neighborhood of Montreal. 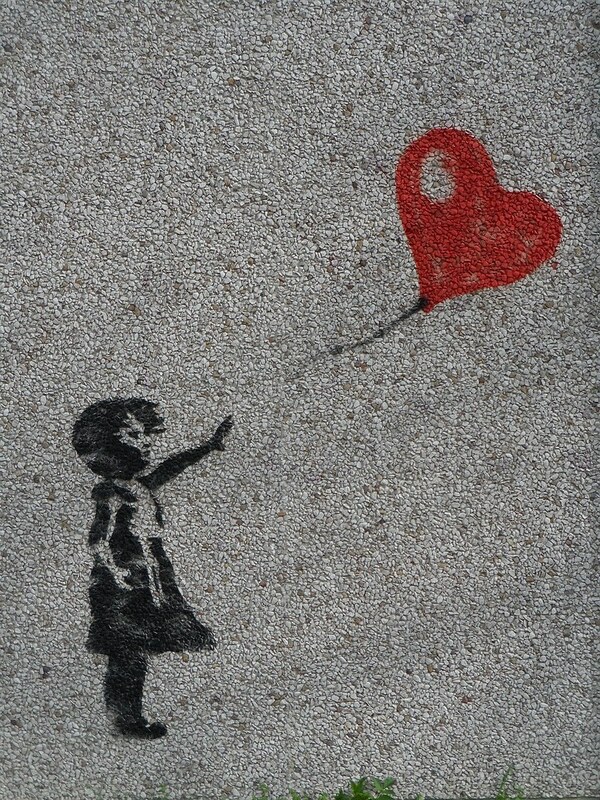 I’d love to see some art by Banksy one day! Love the picture of the Beatles street art… I’ll have to seek that out when I visit London next month! Such a picturesque place good for Instagram shoot. Street Art really makes a different except for vandalism (it sores to our eyes)… hahaha! This also features good local artist on their skills and aspiration that they can pass on to their viewer or by-passer. I love art in general, and street art is no stranger to me! I have never been to Berlin, but I have seen a fragment of the iconic wall myself. I have also written about it on my blog. I can really say that it’s beautiful. I hope I’d be able to see more of it. I know there are a lot of talented street artists out there. I think we often take graffti for granted and use them as background images for social media these days, I love how you showcased them and learned some of its history. I should really pay more attention to street on in my own city and during my future adventures. I absolutely live street art and its many forms!! I hope the beauty never ends! 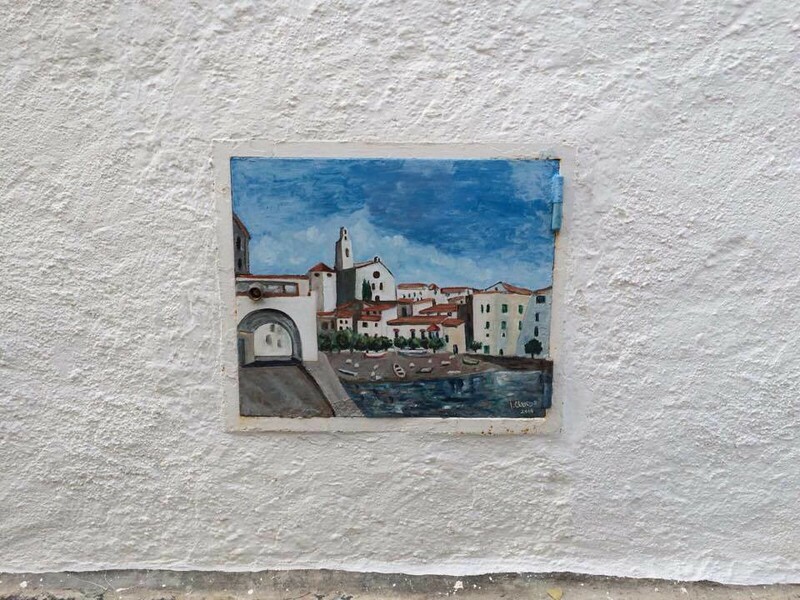 I love the Barcelona mosaic street art you pictured above!! I must admit I never really considered street art as, well, art in the sense of Van Gogh, Picasso, and the like. Just goes to show how uncultured I must be. Haha. But looking at all these amazing works of art, I now feel like I kind of missed out. These feel more raw and vibrant, and speaks to me in the way that paintings don’t. Perhaps because these are a part of people’s daily lives, and so there is more depth to them as well. Whenever I drive or just a passenger, I enjoy looking at the street arts. They give a fresh look of the city and not everything is tall buildings and high walls. Graffiti also promotes appreciation of the arts. It’s so nice to see that instead of “vandalisms” the street is now turned into an artistic place. It is better to look at and it gives a positive impression. I guess street art is enjoyed more by younger generations. They have better and more “out-of-this-world” ideas. Wow! All so creative. My fav however is that of the alligator! 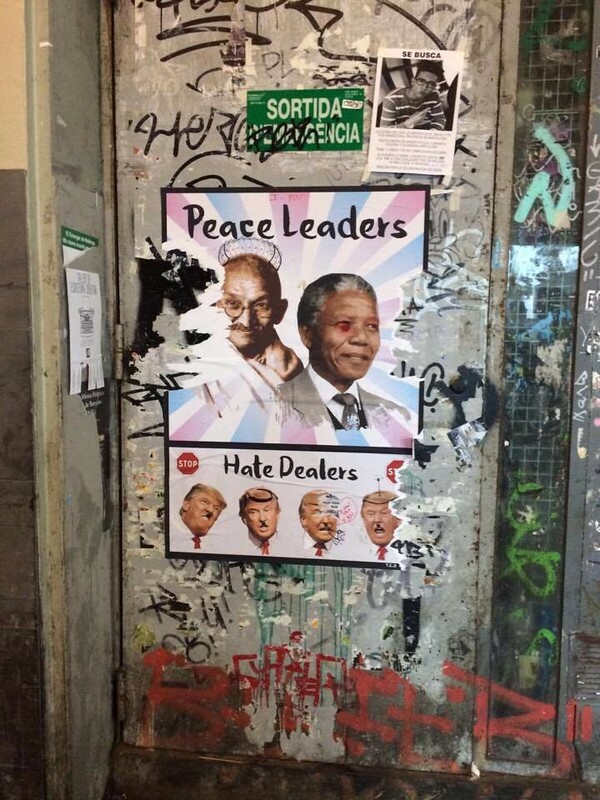 The one of Gandhi and Mandela too impressed me. I didn’t know that Barcelona owns these kind of street arts, aside from they are really awesome to look at, I find it very interesting as well as I haven’t seen a street art that really looks so captivating. 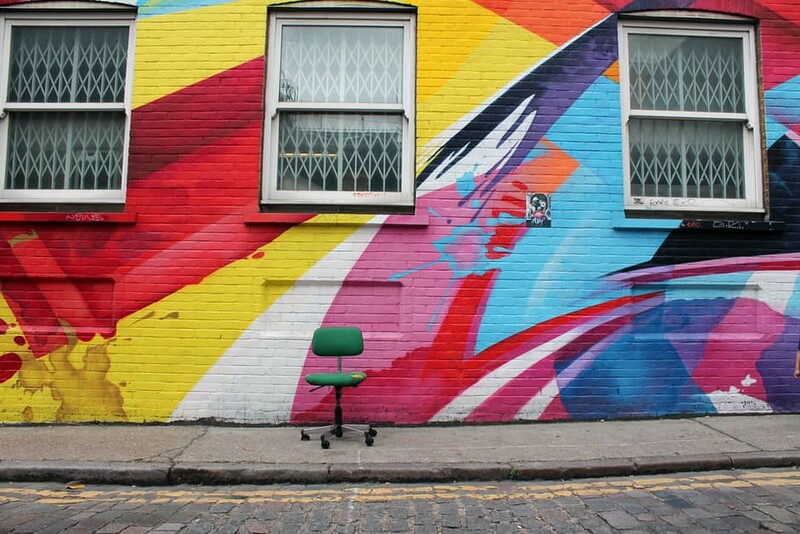 I would really love to have myself being photographed on the wall with that beautiful street art as my backgrounds. I’ll surely bear this in mind if ever I get the chance to visit Barcelona. Thank you so much for sharing! I love art in general! I so like that child chasing the balloon. All their artworks are super impressing and believe me, it’s a forever wish to converse with the artists behind. It’s a wonder how they did it and what keeps them doing it. This is such an inspirational post to all artists in the world! We have been to Barcelona but had no much idea about the street art looks like we missed it. We have done walking comic strip hunting in Brussels which were very fascinating. It is fun trying to deciper what the artist has to convey through the remarkable art work. Thanks for sharing these interesting insight on street art. I love Banksy’s work. Some of the best work we have seen is on buildings in Biarritz – I love the sense of 3D effects. I love street art so long as nothing is damaged. I think it’s beautiful to let your creativity shine for others to appreciate! I am a fan of street art but it is only now that I’ve learned about its historical background so thanks for sharing that. And I’m happy that more and more travel bloggers are taking notice of street art and making posts about them. It’s always nice to read a guide on where to find these art when visiting a city. I am off to Barcelona in aug and will try to find the ones in your pic. I loved the street art in Latin America, especially in Brazil. We have so much of graffiti related to Bollywood movies in India… would love to share some pics with you! This is a really good compilation! I like these kind of art and I hope I can visit some of those when I visit the country. Thank you for sharing. I loved the Einstein street art! This blog post is one of the rare ones’ which I didn’t wish to read but only see. I am in Love with your post. So many creative, talented people. Graffitis are a source of strong message, expression, as well decorate the cities. My favourite one is the tree house. It is actually huge and the Rio one is also beautifully colored. 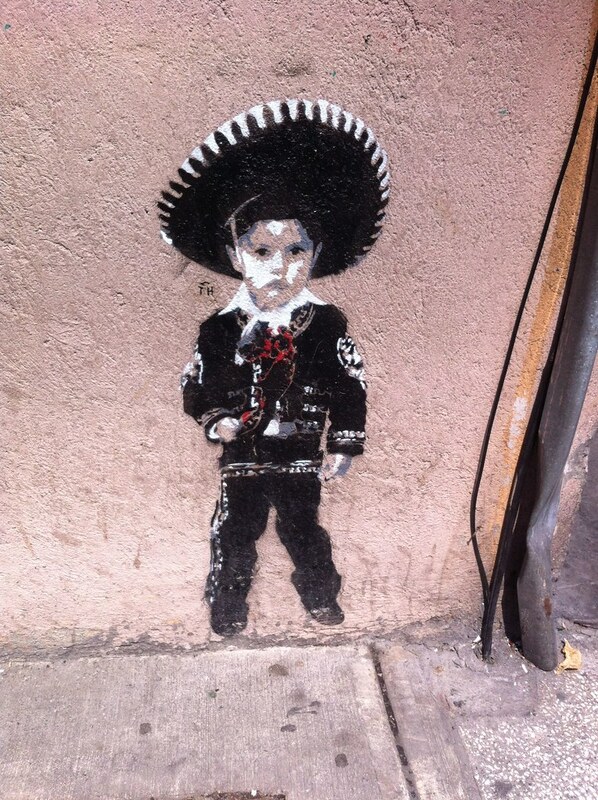 I loved the small potrait depicting Mexican culture too. Amazing. The pictures made me slit a smile on my face. 🙂 The artists are so intelligent to come up with such artworks. And thanks to you for taking pictures and sharing it to the world. Very pretty art works. Though I don’t have any aesthetic sense in my body, I always appreciate arts and one form is the street art. Nowadays, street arts become IG’s best background for users’ photos. It’s quite good also that it is expose in IG and more people are starting to appreciate it. I love street art and it was one of the reasons why I visited Penang, the street art capital of Malaysia. A lot of cities in Southeast Asia have street art too and hope to see more of Europe and Australia. Those are beautiful and whoever invented street art is a genius! They sure work wonders in improving the landscapes of cities everywhere and bring art closer to more people. I sure hope I can find more of them in my city, too.